Secondly, it was a blue moon, which is the term for when a second full moon occurs in the same calendar month, which occurs every couple years or so (hence the phrase “once in a blue moon”). 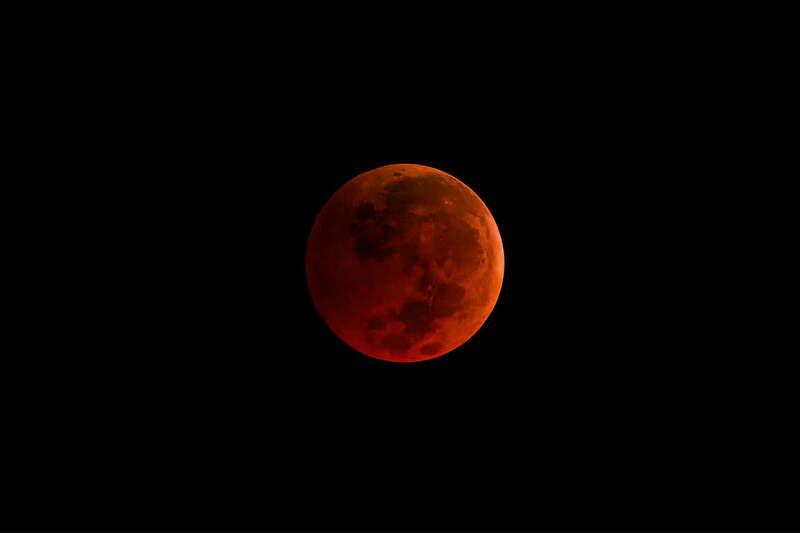 Finally, the moon on January 31 was also a blood moon, which is what happens during a total lunar eclipse. In a lunar eclipse, the moon passes through the Earth’s shadow, making it appear a deep red. Three celestial bodies aligning is known as “syzygy,” which is a word that will make anyone regret playing Scrabble with you. The super blue blood moon arrived less than two months after the supermoon in December 2017, and watchers in North America may have to wait a while until the next one. According to NASA, the next combination of a lunar eclipse and supermoon — visible from North America — will occur January 21, 2019. For those who managed to catch a glimpse of the super blue blood moon, the sight was spectacular; for everyone else, there are pictures. Although a photo might not have the same imposing presence as the real thing, there are gorgeous shots from around the world, and we’ve compiled some of the best.